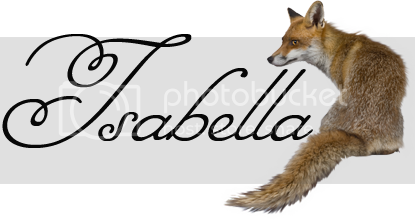 If you follow this blog at any length, you know I am a museum nut. I love pretty much all museums, be they science, nature, technology, or history oriented. However, my museum fanaticism tends to put quite the hurt on my bank account, and that's just when I pay for only me! Thankfully, there is an amazing museum in Wichita that has a little bit of everything! Exploration Place is a mission-driven 501(c)(3) not-for-profit institution, supported by admissions, Membership dues, public support, and voluntary contributions from individuals, corporations and foundations. They have a plethora of awesome static exhibits, and some really amazing travelling exhibits that are on display at various times during the year. The "wind wall", where air currents can be viewed. The first exhibit I always visit is Exploring Flight and Design. Since Wichita is often called the "Air Capital", the exhibit is steeped in flight history. There are a ton of flight simulators, a paper airplane run, a fuselage, a full sized plane, various other models, computer programs, and hands-on displays. 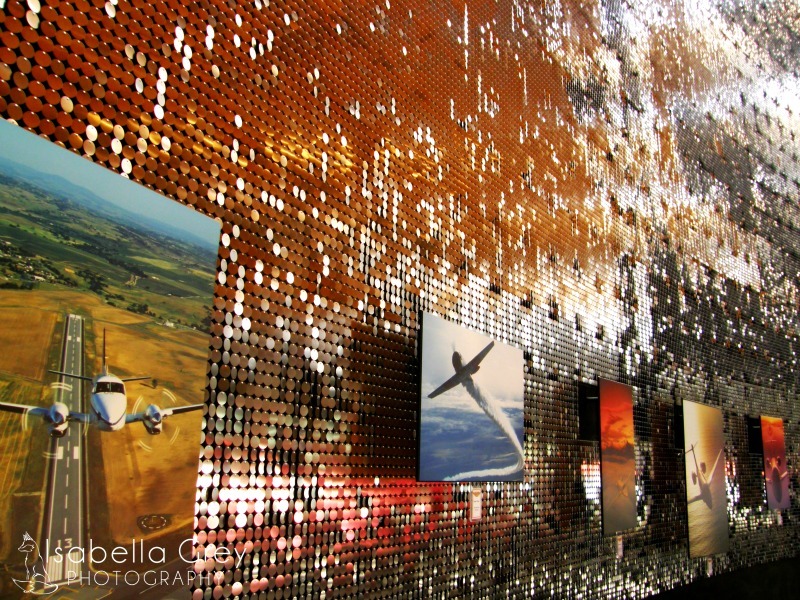 The most striking feature of the room is the "wind wall". Covering the left side of the room, from floor to ceiling are 350,000 small copper and silver disks, one for each person in Wichita. 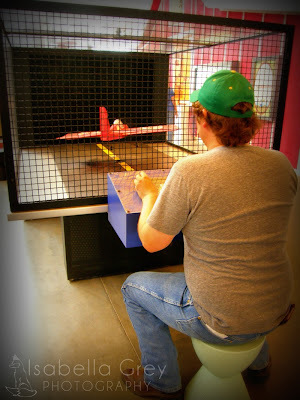 There is a stand with three propellers on it, that you can move around to hit the wall, showing the air currents given off by them. It's really a thing of pure beauty. The Boyfriend using one of the various flight simulators in the Exploring Flight and Design exhibit. If you've ever wondered how difficult it was to pilot the very first airplane, there's a simulator for it! In the above photo, you're given control of the rear tail rudders, and you have to try to keep the plain level, make it climb, and make it descend. It is much harder than it sounds! Just off the Flight exhibit, was a a new static exhibit, that took the place of the old weather lab. Called AgMagnation, it chronicles the past, present, and future of agriculture in Kansas. There is a mini silo, where you can watch a film about he history of Kansas, and look at various pictures taken all over the state. There is also a fun little "vet" area for the kids, where they can diagnose and treat diseases that affect our major agricultural breeds. 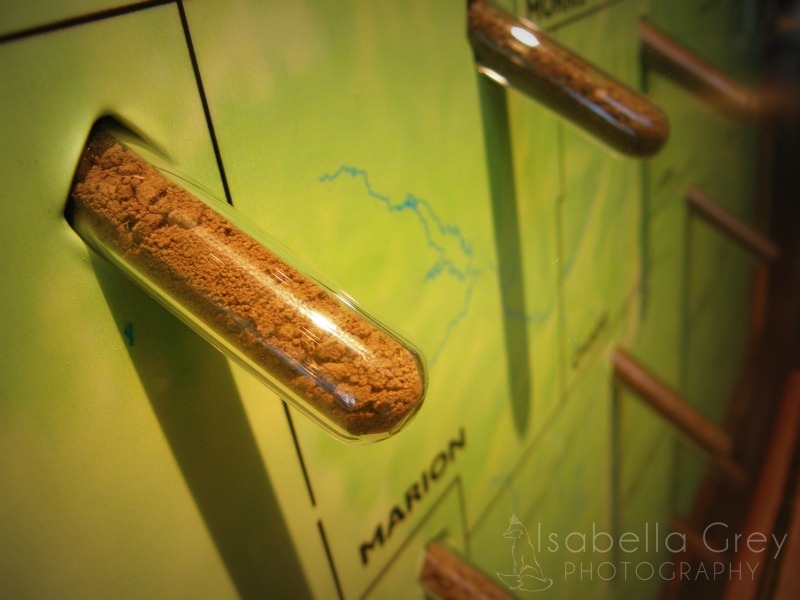 Soil samples from the different counties in Kansas. If that's not enough, how about a ride in the cab of a combine? You can climb in, and watch how certain crops are harvested. My Boyfriend, who happens to be a farmer, sat with me and went through all the buttons, levers, and pedals, and told me what they did. 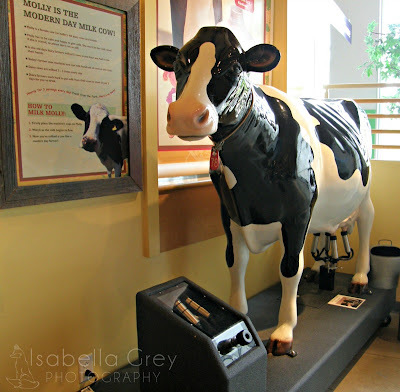 A milking demonstration exhibit, that allows you to feel the pressure inside a milking claw, and faux milk a lovely Holstein cow named Molly. There is also a small section dedicated to our dairies! Since I'm looking into working at a dairy after college, I was really excited to see a Holstein standing in the far corner. There was a machine where you could answer questions about dairy products, and he cow herself gave you a fun milking experience. On the other side of the Ag exhibit, is Exploring Our Only Home, a portion of the museum set aside to teaching about the native wildlife, ecology, and natural phenomenon that happen in Kansas. This Common Map Turtle was very intrigued by my camera. He followed the lens all the way around his enclosure. The Common Map Turtle is a threatened species here in Kansas, with known sightings only in Neosho, Verdigris and Marais des Cygnes river drainages. There's a tornado simulator, various enclosures for live animals, a river run, and even a table full of the native plants and their benefits. There is a large section dedicated to viewing native insects and their life cycles. Be warned, if bugs and insects freak you out, just refrain from pulling open any drawers! That's where they are kept, safe from destructive hands. There is even a plant rubbing table, and water current manipulator! 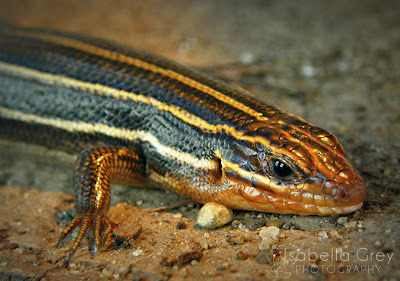 A Broadhead Skink suns himself in his enclosure. 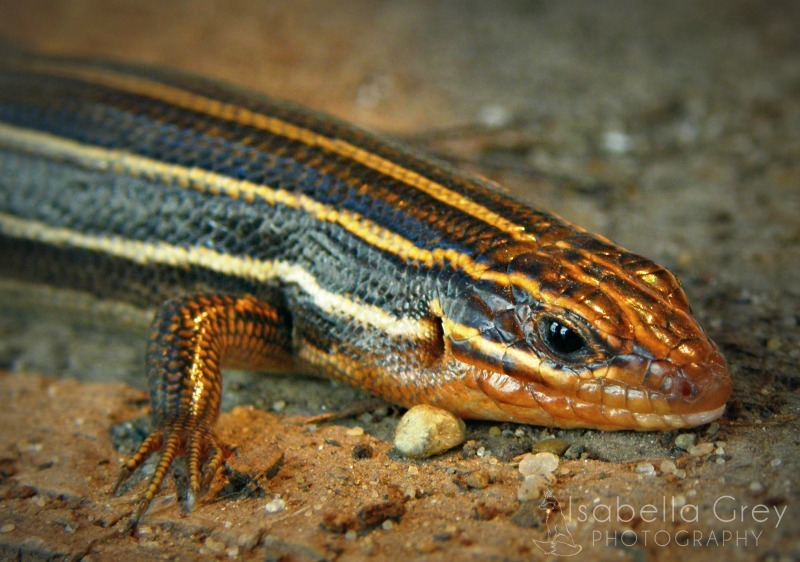 This is another Threatened species in Kansas, which is often mistaken for a Five Lined Skink outside of it's breeding season. If you follow the ramp into the "sea" below, you will be taken back to the time of the Inland Sea that once covered Kansas. The walls are inlaid with faux fossils, and there is a cave you can walk through, with more native wildlife. There is even a fossil dig site that you or the kids can excavate! 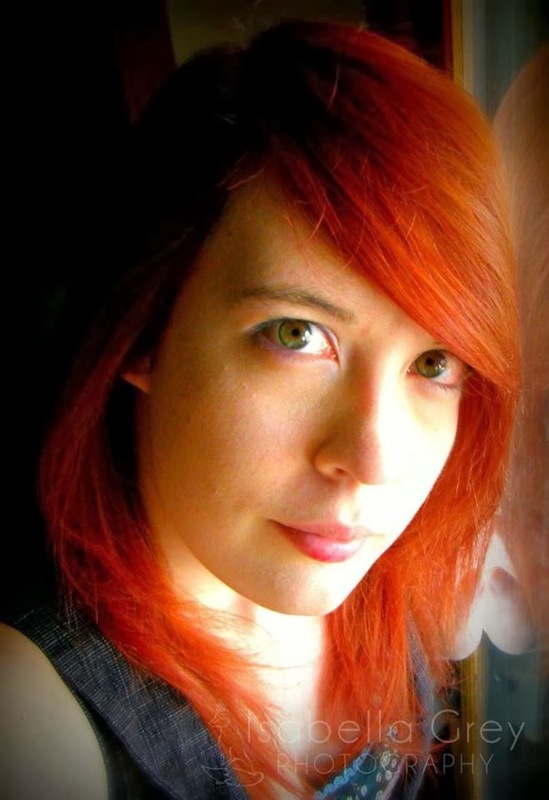 After you've gone back in time, you're given the chance to fast forward a bit, to the 1950's. The Kansas in Miniature exhibit is a massive room, filled almost completely with a single diorama. There is a single walkway around the room, which created a barrier of glass panels between you and the tiny town. A portion of the Kansas in Miniature exhibit. The carnival in the forefront moves and lights up when "night" falls on the town. 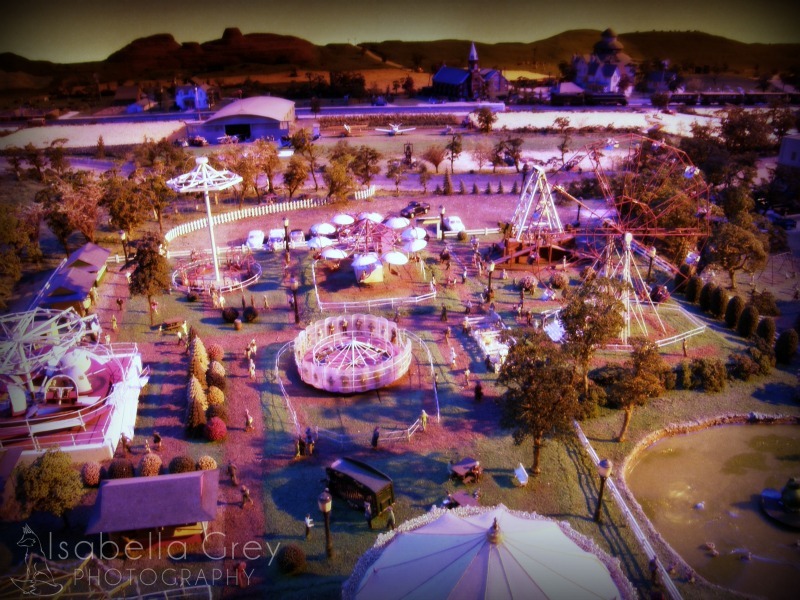 The diorama itself depicts actual buildings and landmarks from around Kansas, There are more than 55 moving elements (swings, carnival rides, truck beds, and more), 125 buildings, 200 vehicles, and 1000 perfectly scaled people. You can see Mushroom Rock, the Town Hall from Cottonwood Fals, and even the very first NuWay! The last exhibit I went to was by far my favorite one! There is currently a travelling exhibit called Dinosaurs Unearthed, and as a former want-to-be paleontologist, I was beyond thrilled to see the caliber of it! 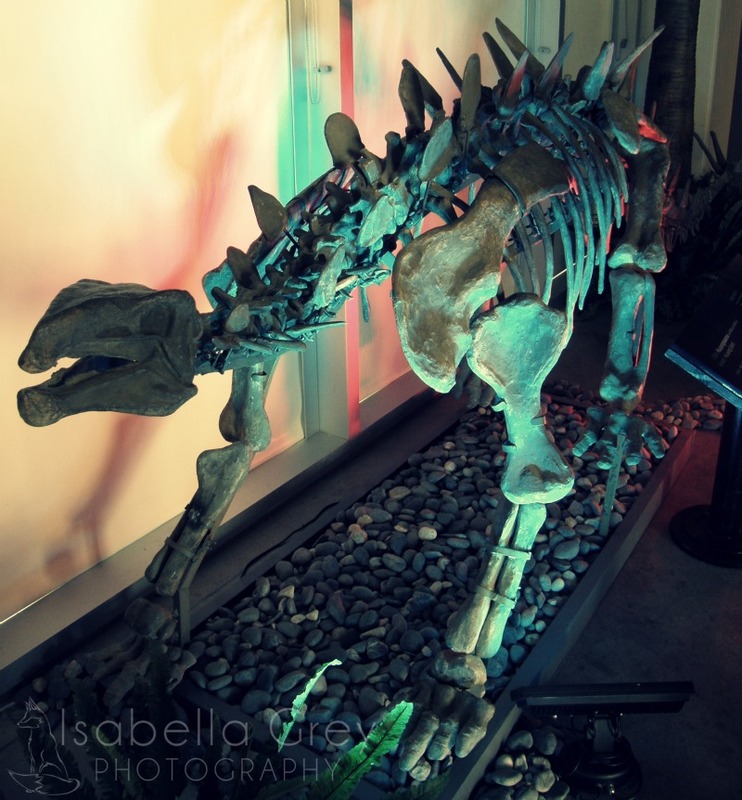 The exhibit features 14 life-size animatronic dinosaurs, 2 articulated full-scale skeletons, 22 fossils, and some great hands-on stuff! I was able to feel the texture of dinosaur skin and eggs, hear the sound that Hadrosaurs made when they blew air through their crests, and more! 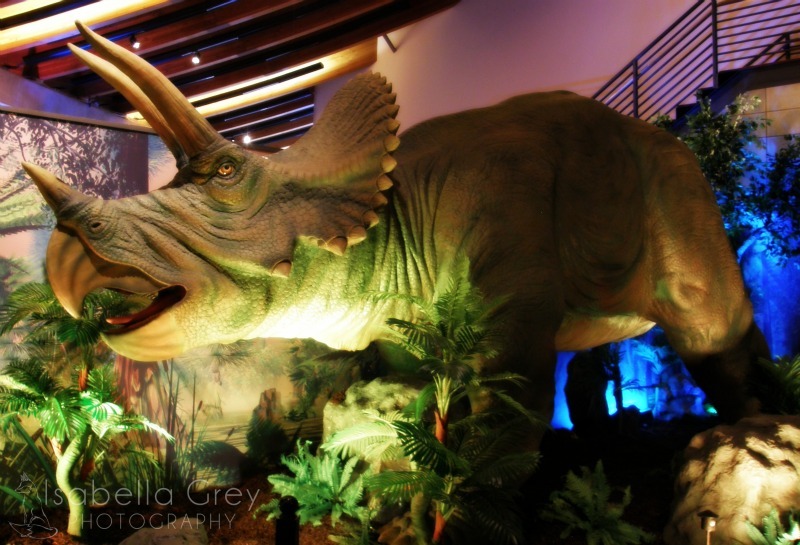 A life sized animatronic Triceratops. 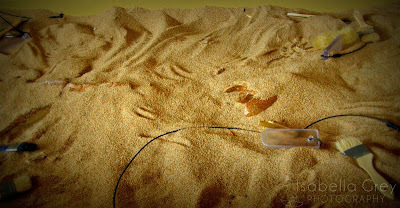 This species lived during the Late Cretaceous Period, around 68 to 65.5 million years ago in what is now North America. It was one of the last non-avian dinosaur genera to appear before the mass extinction event. The term Triceratops literally means "three-horned face". The animatronics were really well done, and so many "Jurassic Park" myths were blown away for the general public. For instance, did you know that there is fossil evidence to support the claim that juvenile Tyrannosaurus' had fine hair-like filaments all over their bodies? Next time you're in Wichita, I HIGHLY suggest taking a few hours and exploring Exploration Place. Get the kids excited in more than video games and Facebook. I used to want to be a paleontologist, too! That sounds like a great museum. Definitely a place on my list to stop if I am ever near Wichita. I love interactive exhibits! This is awesome. May have to make plans to go up there! What a neat place! Love the pictures of the museum so we can actually see what is there! We love museums too!!! I love taking our kids to museums! Such a great learning experience! This one looks awesome! This museum seems to have a little bit of everything! A tornado simulator sounds pretty cool! 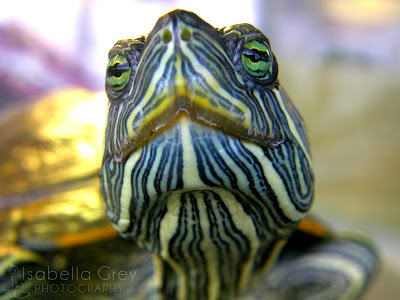 BTW, Your photo of the turtle is awesome!! I love museums. I grew up going to museums on every family vacation. They really are such a great way to have hands-on experiences. They are just great for kids, especially being climate controlled.